Mike your background or at least what you have gotten some significant notoriety for is your success in the world of obstacle course racing (OCR). What were you doing before obstacle course racing – did you run in High School or college as well (and if so, how did you do)? How did you get into OCR and when did you start to see that you had some way above average potential? Going all the way back to my junior year of high school where I first discovered running, I actually only joined the track team in pursuit of a girl that I was interested in that never panned out. (Ha ha) Once I realized that wasn’t going to work out I was already committed and had made some friends on the track team so I made the best of it and ended up being all-conference both my Junior and senior year in the open 800 meter and the 4x800m relay. I also went to state championships in my senior year for the 4×800m relay. Fast forward 8 years, I decided to make a lifestyle change as I had not been working out or exercising and wanted to get back into running so I made it a bucket list item to run Grandma’s Marathon up in Duluth. I felt like I was ready and really strong and about two weeks before I ended up over training and hurting my knee. Nothing major that required surgery but I knew it wouldn’t be wise to run it so I backed out and still have yet to run that or any marathon for that matter but is still on my bucket list. After that about a year went by and I stayed in shape and decided to go back to college where I met my wife (girlfriend at the time obviously). Once we started dating we both discovered that we’re both very active people that live a very healthy and active lifestyle and she invited me to this obstacle course race called “Hard Charge” At the time I didn’t know what obstacle course racing even was. She convinced me to enter the elite wave because she thought I was fast and I thought she was wrong so I jumped in anyway and ended up taking 6 place that day out of a couple hundred guys. After that I raced a few other local races and consistently place in the top five out of hundreds of guys. I guess the rest is history when it comes to that as I discovered that I love this sport and I happen to be very good at it. I think it’s because I have a nice balance of Speed to strength ratio. I know you are an elite level OCR racer but would you be considered a professional? Do you make your living racing at this point? Depending on whom you ask, some would say that I am considered a pro athlete and others would say that I might be considered Semi-Pro. 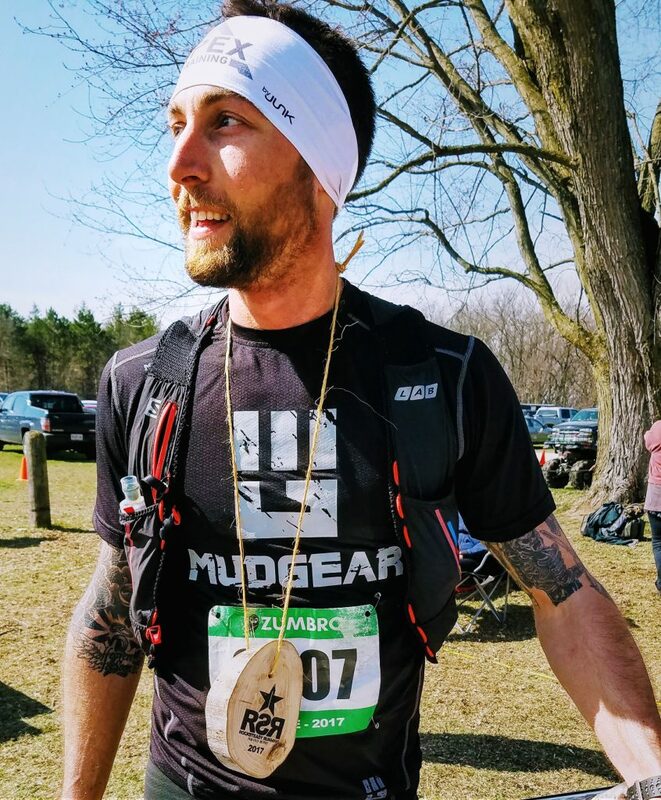 This year I picked up a big sponsor called MudGear (they make all sorts of compression gear) and they personally asked me to be on their Pro Racing team which consists of 10 people that they hand select so technically I would say I am on a pro racing team and considered a pro athlete. My coach always tells me to that if you’re getting paid and making money in the sport you’re technically a professional so I would say yes I am a pro athlete. With that said though I do work a full-time job and I do not make a living in this sport yet. With all the success at OCR, why longer (but non-ultra) distance trail racing? As tough as Spartan is, I can’t imagine that many of the top OCR guys could run that well on such long trail run courses – in the world of OCR I am assuming running is your real strength. Are you just using these races for training or is this part of a transition to trails? You are correct as I am using these trail running races as training. My coach taught me about labeling races as A, B and C races where A is one or two races in the entire year that you train for specifically, B being something that helps you qualify for an A race and Zumbro would be considered a C race if not a D race as I was only using it for training. Surprisingly enough the top 10 or top 20 best OCR athletes in the entire world are phenomenal Trail Runners and last year’s World Championship is a five-time Ironman champion. A lot of these guys are former Division 1 cross country runners and used trail running as their method for mileage. I know a lot of guys are getting into the hundred miles a week range where my body can only hold up to about 50 a week. With all that said though I am beginning to enjoy Trail Races specifically Zumbro and the way it’s put on. I could definitely see myself becoming a trail Runner / OCR athletes and quite possibly when I get past the age of being able to compete at a high level in OCR, go into ultra running full time. Another bucket list item of mine is to run a hundred miler in my lifetime. You are signed up for the Superior Spring Trail Race 25K in Norther Minnesota. Have you run on the Superior Hiking Trail before or on the section we use for that race? Are you hoping for a win and / or a course record there? Yes I am signed up for the superior Spring Trail race 25k in Lutsen in just a few short weeks. Yes I am planning on winning it and I would be lying if I said I hadn’t look up the course record already so I know what I have to shoot for to break that course record as well. Kurt Decker from TC Running actually told me about the superior hiking trail last spring and throughout the course of the summer especially leading up into the fall time before World Championships I would go and make the drive up there every weekend and run those trails for hours. One of the best hiking trails in the country in my opinion and it is a staple in my training during the spring, summer and fall months. I have not ever actually trained on part of the superior hiking trail that the superior Spring Trail race is on as I usually start and Duluth and will run north. Onto this year’s Zumbro race… you kind of laid down the gauntlet at last year’s race beating the uber-talented Wynn Davis (he is an accomplished trail racer and a 2:30ish marathoner) and setting such a stout course record, bringing the average pace for the grueling 17 miles down under 7:00 minutes per mile. Was the goal this year a course record again? So it’s kind of funny because most the time I need to research and do my homework on things before entering a race where Zumbro last year was purely a training day for me so I never even took the time to look at the course map and had no idea what the course record was last year. Last year I didn’t even wear a watch, a GPS or my phone as I was just purely running. So with that said and you informing me last year that I had set the new course record without even trying as I was purely just running made me really want to come back this year and see how much I could actually shave off my own course record being that I knew what the time was now and that I was wearing a Garmin watch. With that said I still did not train for Zumbro last week and went into it sore as my main focus is in two weeks out in Seattle for my first pro televised race. That being said, I believe that if I trained specifically for Zumbro I could shave more time off the record. Maybe one day will see. This year’s field was stacked, how did the race play out from your perspective? I led the race out personally on the ATV to get you guys going the right direction – it looked like there was no shortage of guys going for it and the pace looked stout. So last year I reached out to one of the pro athletes in the world of obstacle course racing and he and I have been really working hard at getting me into pro-level shape so I can compete with the pros. So because of that I believe I’m in the best shape of my life right now. I was actually a little surprised at the pace right out of the gate for Zumbro being that it was a little slower than what I had anticipated which obviously worked into my favor. I’m used to a lot of races right out of the gate being at 5:30 mile pace. I purposely sat back in about 5th place for the first couple miles just to see who wanted to take the lead and what kind of pace was going to be set and then when I decided that it’s time for me to go at my pace I turned it on at about mile 3 on one of the first descents and after that I ran by myself for the rest of the race. What are your plans for this year and going forward, more trail racing in your future along with OCR? Any thoughts of running an ultra in the future? So last year I made it a goal to try to win everything that I could hear in the state both trail running and OCR. I’m proud to say I did accomplish that goal and decided this year to put my hat into All Pro Race’s. Unfortunately that requires a lot more traveling out of me as most of these Pro races are East and West coasts and very little in the Midwest. My first pro race is in two weeks out in Seattle and NBC will be televising it where there is big money to be won. People that are close to me know this already but my whole thought process on my god- given talent that I have been given is to do the best that I can with my talent I was given. I don’t ever want to look back and say I wish I would have or wonder how good could I have been. I try to live life with the least amount of regrets and this is one of them that I’m proud to say I am currently doing everything in my power to be the best I possibly can be so that I don’t ever look back and wonder. Like I mentioned in a different question as I get a little bit older and am no longer able to compete at a high level in OCR I would definitely love to run an ultra and it is on my bucket list to someday do a 100 Mile Trail Run. How does OCR differ from trail racing, both in the racing itself and the culture surrounding it? What do you like or dislike about each? I actually think that the trail running community and the OCR running community are very similar when it comes to the friendliness and the supporting of each other. I will honestly say that I came back to run Zumbro again for the main reason of the community of people and the volunteers and just how awesome everybody was that made me feel so welcome. I will never forget it but last year after I was done running and walking back to my car I had probably a dozen different people invite me over to their bonfire or their lawn chairs just to kick my feet up and talk about the race and I thought that was incredible. Obstacle course racing is very similar but I would say there’s a little bit more of competitiveness in the air that I can sense. I can honestly say that I can’t find anything that I dislike with trail running and that is why I can see myself down the road switching over full-time to being a trail runner. Since obstacle course racing is still relatively new I can’t get on them too much but I wish there was more races in the Midwest so that people like myself are not forced to travel all over the country to compete at high level races. Outside of that I love the community of people and some of my current best friends I made through OCR events. We want to see you more and more involved in our trail community – I think there is something on the athletic front we can all learn from you – when are you going to come volunteer at a race with us? John I would LOVE to be more involved in the trail running community! I seriously would love to help lend a hand when it comes to clearing trails and getting them ready for races and would love the opportunity to volunteer. Please please do reach out to me personally when it comes to these things as I would love to help out. If the Afton race doesn’t work into my schedule maybe I will volunteer at it. Again thank you for reaching out to me and looking forward to helping out in the MN trail running community. Thanks for taking the Mike!